Barbizon Midwest Review: Seamas is Moving Fast!!! 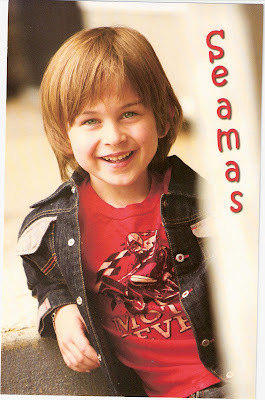 Check out 7-year old Seamas O'Hara of Barbizon Midwest Schaumburg on NBC! You can see this superstar in the Weather Tech Floor Commercial. Seamas is on the move! This youngster did a Travel/Leisure interview on TVRM in Bucharest, Romania this year, threw out the “first pitch” in opening ceremony at Chicago White Sox vs. Los Angeles Dodgers game in 2009 and also attended IMTA Los Angeles! Seamas received numerous awards and recognition for Commercial Print and Runway! The sky is the limit for Seamas and we can't wait to see what he'll do next!